This university accredited course aims to provide dental practitioners and their teams with the opportunity to develop the knowledge and skills to plan, treat, and maintain a range of straightforward partially and fully edentate patients (as defined by Training Standards in Implant Dentistry, endorsed by the General Dental Council [UK]). Part-time course, approximately 40 days attendance over 18 months. Total of 8 participants. 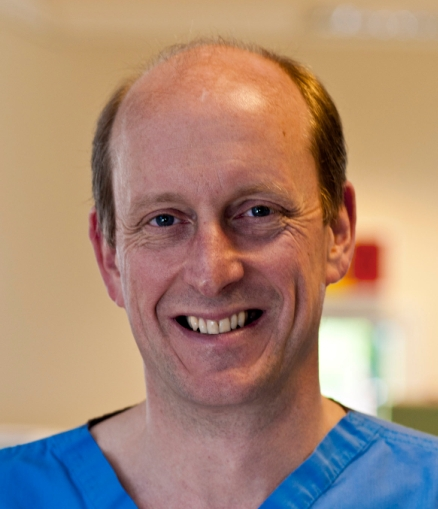 The course director is Dr Francis Nohl, Consultant and Honorary Senior Clinical Lecturer in Restorative Dentistry, Specialist in Restorative Dentistry and Prosthodontics. He has over twenty years' experience of the surgical and prosthodontic aspects of implant dentistry, and is supported by a highly motivated team of clinical/academic specialists and nurses and technicians. Patients are recruited for you by Newcastle Dental Hospital. The institution has state-of-the-art skills training facilities and high spec. clinical treatment areas, as well as in-house dental production laboratories. Cone beam scanning and virtual implant planning software are in routine use. As far as is practicable, individual patients are treatment planned, implanted and restored by a named course participant. Attendance of accompanying nurses (who will be awarded CPD) is strongly encouraged (at no additional cost). "A brilliant course to start GDPs off on their implant journey"
"I am so grateful to have been a part of this and so proud of my diploma"
"Gives a solid basis to start off in this aspect of dentistry"
"The staff were extremely approachable and happy to answer any questions we had. It was a very friendly open environment which was conducive to learning." "I felt the independent study part really encouraged my enthusiasm for learning." The course director is Dr Francis Nohl MBBS BDS FDSRCS MRD MSc DDS, Consultant in Restorative Dentistry, Honorary Clinical Senior Lecturer, Specialist in Restorative Dentistry and Prosthodontics. He has over twenty year's experience of teaching implant dentistry and in carrying out surgical and prosthodontic implant treatment. He is supported by a highly motivated team of clinical/academic specialists, dental nurses and laboratory technicians.